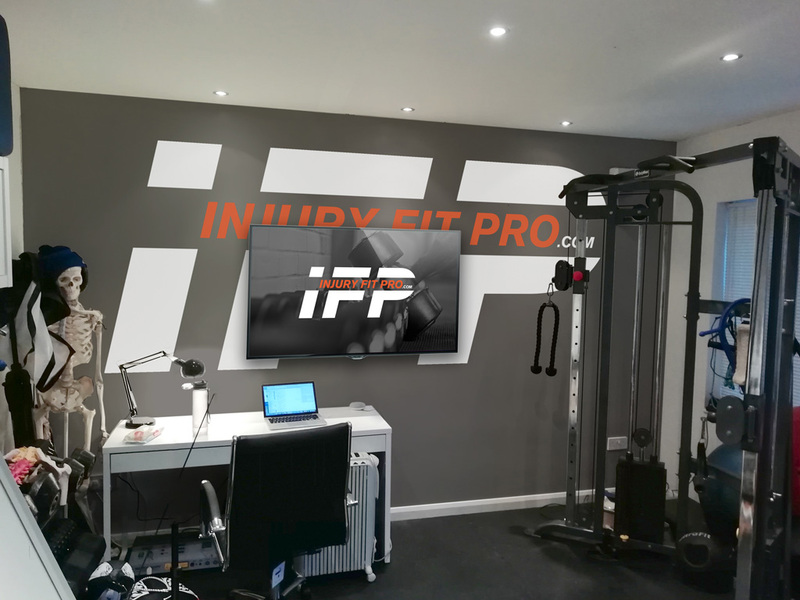 Injury Fit Pro's creator Robert Shanks, (BSc (Hons) Ost) delivers his expertise to a global client base via ebook style self help coaching programmes featuring exclusive videos and content on how to manage and treat your own back pain, knee pain, heel pain and other sports injuries as well as how to workout safely without inuring your joints. 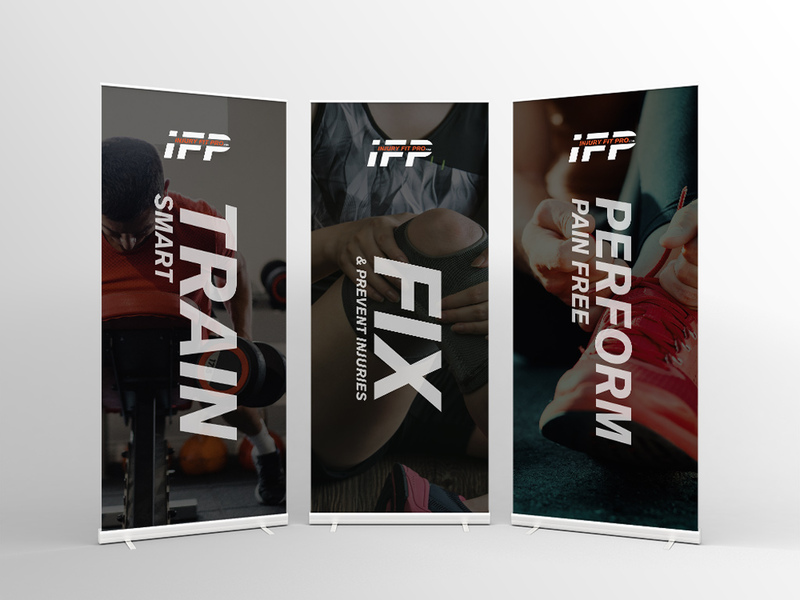 The brief was to create a dynamic logo and brand identity which would fit in well but stand out amongst the sea of competitors in the online fitness market. I commissioned David to give his honest feedback on our old logo. David was quick to pick up on what had been niggling at the back of mind, namely that the old logo featured outdated fonts and design. I commissioned a revamp of our logo and was EXTREMELY pleased with the result. Every feature of the new logo was designed by David with a purpose in mind and to look good and work with all manner of social medial and marketing channels such as Instagram, facebook, website etc. The end result was a new logo, unlike the previous, that will (hopefully) stand the test of time, have widespread appeal and ultimately make the brand more successful. David is a talented, intelligent and thoughtful graphic designer whom I wholeheartedly recommend to anyone requiring logo, leaflet design or any other sort of marketing design.